While family courts are generally in favor of ensuring that both parents have regular access to their children following a divorce, frequent contact with one of the parties is not always in the child’s best interests. If, for example, one of a child’s parents had a history of domestic violence or neglect, courts would not order shared parenting time. In other situations, where visitation is not denied outright, courts that are still wary of ordering shared custody may decide to impose supervised visitation, which allows a child to have contact with a parent, while also ensuring that he or she is kept safe. 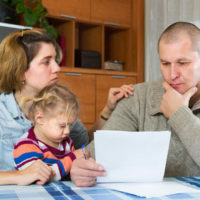 Visitation-related matters must be handled with care, so if you are going through a divorce and have concerns for your child’s safety or are being falsely accused and so have been restricted to supervised visitation, it is imperative to contact a child custody lawyer who can help protect your parental rights, while also defending your child’s best interests. What Does Supervised Visitation Entail? Supervised visitation is imposed when there is concern about improper interaction between a parent and child, parental kidnapping, domestic violence, neglect, or drug use. In these situations, parents may still be permitted to have contact with their children, but will only be allowed to visit at a neutral site and in the presence of a monitor. Requiring the parent and child to attend therapy. Supervised visitation programs also offer a number of services to help enable contact between noncustodial parents and their children, including not only one-to-one supervision, but also group supervision. There is nothing more important than ensuring that a child is raised in a healthy and stable environment. While this often includes ensuring that a child has regular contact with both parents, this is not always the best solution, especially if there are concerns for the child’s safety. If you have questions about your own visitation schedule or believe that it may need to be modified to allow for supervised visits, please contact dedicated Fort Lauderdale child custody lawyer Sandra Bonfiglio, P.A. at 954-945-7591 for a free consultation.